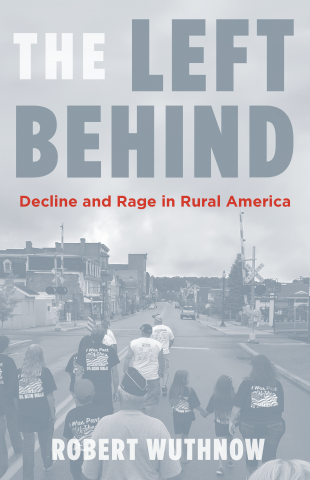 Robert Wuthnow’s new book, The Left Behind: Decline and Rage in Rural America, is the best book I’ve read on the rural-urban divide in the United States in years. It may, in fact, be the best book I’ve ever read on the topic, and I’ve read a lot of them. That’s not to say that Wuthnow’s analysis of the socio-economic or demographic or cultural situation which faces that 20% (or less) of the American population which lives, broadly speaking, in “the country” as opposed to “the city” (or its suburbs, or its exurbs) is groundbreaking; on the contrary, most of his conclusions are simply careful elaborations of sociological data that he and others have addressed before. 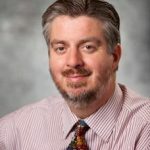 But in this short book, Wuthnow, a much-published sociologist who has long taught at Princeton University, demonstrates his strength as a listener and as a synthesizer of those things he and his many researchers have heard and learned over the years. It is 164 quick pages that every would-be pundit, or really everyone at all interested in the social divides which the election of Donald Trump made clear, ought to read. Illing’s reaction is similar to that which has all-too-frequently emerged from the overwhelmingly urban scholars and activists who have found the urban-rural divide a cause for concern in America over the decades. It was on display in Thomas Frank’s celebrated but blinkered What’s the Matter with Kansas?–a book that Wuthnow gives qualified praise to, but also criticizes as having been guided by a thesis more relevant to blue-collar urban workers in conservative states rather than actual country people, a criticism that he extends to Arlie Hochschild’s Strangers in Their Own Land as well (pp. 2-5, 137), and other displays of that same attitude can be found all the way back through the 20th century, to H.L. Mencken and others. The fact is, being able to speak sympathetically (but not defensively!) 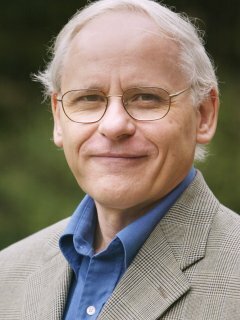 about those whose lives have been mostly excluded from the global urbanization which industrialization and finance capitalism has increasingly made the social baseline of the whole human race–in the American case, the 30 million people who live in towns with a population of 25,000 or less–is just plain difficult. I think Wuthnow pulls it off, though, and that alone, completely aside from what can be learned from those whose voices he captures and interprets, makes The Left Behind a book worth reading with an open mind. Why is Wuthnow’s ear so open to and respectful of what the hundreds of people that he and his graduate assistants have interviewed over the past ten years (an ongoing project that has resulted in a series of sometimes dense but always rewarding sociological and historical studies, including Remaking the Heartland, Red State Religion, and Small-Town America)? The easy answer, and probably the most accurate, is that he, unlike so many other of these commenters, has both personal memories of and an abiding, rueful fondness for the rural small-town world, particularly that version of it which emerged on the Great Plains, where he is originally from. A native Kansan, born in the 1940s, he has no illusions about the poverty and struggles which characterize those who inherited, like Laura Ingalls Wilder (whom he credits in Remaking the Heartland with having played a central role in updating the Jeffersonian vision of finding authenticity through “living in a region of farms and small towns”–Remaking, p. 69), the usually hopeless dream of achieving some kind of republican independence and self-sufficient agrarian virtue in such an unforgiving rural environment. Scattered through his books, you will find references to farmers he has known who have committed suicide, to young men who were desperately trying to hide the fact that they lived in dugouts without electricity or running water, to families who have fallen into division and anger–or fallen apart entirely–in the face of the pressures of working on a farm. Wuthnow does not sugar-coat the often circumscribed lives of those he has listened to so closely, nor has he listened to them uncritically. But neither has he dismissed out of hand the paradoxical complement to all of the above: that much, perhaps most, of America’s rural population feels pride and even a degree of confidence in their choice of a farming vocation, in their embrace of small-town life, their connection to the land. And that paradox, that ambivalence, is one he is both fascinated by and, obviously, attracted to. What kind of freedom do these rural people mean? This is Wuthnow at his most insightful: rural America, he asserts, has constructed over the decades a communitarian attitude through which “a sense of boundedness,” of actual spatial as well as conceptual identitarian and moral limits, affects how they view and find value in everything else (p. 43). This is not to say, in his view, that rural people are necessarily mired in racist nostalgia (though over 90% of rural Americans identify themselves as white Caucasians) or are psychological throwbacks to some independent, agrarian world (one of the most common laments which Wuthnow documents in The Left Behind is the absence in most small towns of the expertise needed to write successful federal grant applications, and in Remaking the Heartland, he shows in great detail how the people of western Kansas, far from being yeomen farmers on whom industrial agriculture was imposed against their will, had instead aggressively sought government contracts from the beginning, and had built corporations and co-ops to import Mexican workers to maximize profits from the sugar beet harvest long before IBP and its environmentally destructive meatpacking plants arrived). On the contrary, Wuthnow, on my reading at least, thinks there is no obvious reason to see the farmers and small-townspeople of the American countryside as any less subject to the individualizing impulses of modern life than anyone else. If we are to trust in his interviewing and research, it would seem that most rural schoolteachers want their students to pursue personal excellence and transcend their local environments (p. 61), and most rural residents seem to like big cities, appreciating their existence as the places their children and grandchild find work and where they can travel to enjoy amenities which they don’t have in their financially strapped and culturally isolated small towns (p. 100). So it is probably not the case that the American countryside–obvious exceptions like Amish and Mennonite communities aside–harbors some non-liberal, non-individualistic, frugal and communal and pious perspective on freedom which the rest of America has lost. For the most part, it doesn’t. But what it does have, instead, is actual, tangible, limits. In a small town (and for Wuthnow, and the people he interviewed, everything comes back to the small town; genuinely isolated country living, conducted without any regular contact with or participation in some town or county seat or some other central place, is rare to the point of non-existent), there a boundedness to where one shops, where one works, where one sends one’s children to school, and who one sees in all of those places. While the history of rural places, particularly on the Great Plains, is actually filled with upheavals and frequent relocations, the small size of these places, and their distance from other, larger places, has inculcated a strong emphasis on the familiar among those who live there. (Elsewhere, Wuthnow had observed that since “a small town seldom covers more than a few square miles….residents not only live in close proximity to one another but also share a common visual horizon….It is a circumscribed space with a name and an identity”–Small-Town America, pp. 52-53.) Again and again, in these interviews, the attachment rural and small-town people have to their places is expressed in terms of their attachment to this church, this festival, this cohort of friends (and enemies), this stretch of road, this celebrated event, this historical grievance, this smell, this pastoral scene. Their fear, Wuthnow thinks, is primarily one of losing connection to that particularity, that almost literally spatial positioning within a universe bounded by fields and forests and roads that lead into the distance and the people who farm and lumber and drive upon them. This collective emphasis upon routines, repetitiveness, and “co-presence” (Wuthnow quotes sociologist Randall Collins on this point–p. 39), is, of course, a famous source of angst and rebellion, one which has provided a narrative for artistic escape for hundreds of years. Generally speaking, those people who want to leave, and can leave, do. After all, being in one’s own place, owning one’s own particularity and one’s own network of relationships and stable references, is exactly what those who long to breathe city air (remember: “die Stadtluft macht frei“!) often want to get away from, and the tension which that repetitiveness, that familial weight, brings into the lives of otherwise mostly modernized, mostly connected American individuals is a perfect recipe for an inferiority complex (one that, please note, Wuthnow observes rural people regularly acknowledging). But for all those cross-feelings, there are those who remain. And it is they who find themselves, willingly or otherwise–and many small-town residents, Wuthnow emphasizes, initially were definitely otherwise–taking solace in, and in turn contributing to, a moral conception of community that, above all, prizes the “the shared notion that what the community represents is right” (p. 78). Freedom to act is treasured–but the actions which are worth treasuring are those which arise from the bounded context one inherited and knows. Such communitarian convictions can and do arise in any lived environment, of course–urban neighborhoods and suburbs as well as farming villages. The difference, though, is that the former two are seem by many rural dwellers as inextricably connected to the speed, bigness, and changeableness which characterizes modern urban life. And all those things–bigness, and the variety and unpredictability and factionalism which it accommodates–undermine the conceit widely shared in small farming towns: the idea that their town is a particular kind of moral community, within the bounds of which one can safely assume that everyone, whether rich or poor or (most commonly) just cobbling together a lower middle-class life, was connected together, that “everyone was the same” (p. 100). 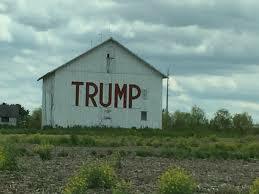 Do rural people know this conceit, like any social conceit, when one looks at it closely, isn’t actually true? Of course they do; Wuthnow shows repeatedly that unavoidable deviations from the white Christian heterosexual conservative norm are recognized, and often–not always, perhaps not even usually, but often–tolerated. 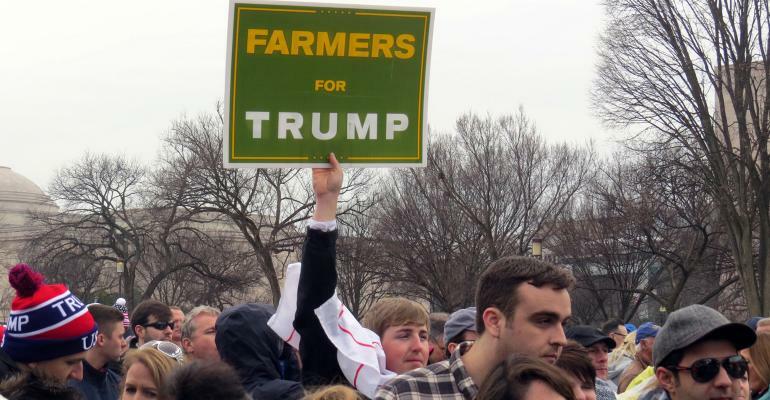 (Many interviews suggest that actual farmers, as opposed to those who are part of the service economy around them, are “far more informed than the average town-person in this regard”–p. 102.) But it is a conceit that makes possible a particular conception of freedom, authenticity, and community, all of which have both deep historical roots and real theoretical and moral value. And so it is in their collective self-interest to hold to it–with the result that often even the most self-critical small-town people feel a deep resistance to anything which threatens their bounded, routinized environment. Which then becomes self-reinforcing…and, as Wuthnow concludes, “you do not question what you do not see.” The fact that many rural people either literally do not see (because of their circumscribed environment) or otherwise are inclined to deny the local challenge of (because of their moral attachment to the rewards and virtues that their place has provided them with) that which is foreign to their bounded world–and in most small rural towns in America, that usually means non-whites, sexual minorities, intellectuals, liberals, religious dissidents, and non-Christians–has a predictable result: when small-town people learn (accurately or otherwise) that the federal government is favoring the interests of “people who live in cities and don’t look like you,” it is easy to believe (p. 161). The result is an unreflective anti-urban and anti-diversity bigotry which is hard to name as such, because it begins not with a personal animosity towards different person, but with challenge to the supposedly self-sufficient and always longed-for boundaries and expectations of the rural world. That’s not an excuse for such; Wuthnow is pretty explicit in pointing our how paranoid and pointless (and, unfortunately, predictable) most of the confused frustration he documented was. But it is an explanation, and that’s a crucial first step. Unlike many, Wuthnow grants the legitimacy–if not the accuracy–of those explanations. He recognizes the appeal of that sense of stability and boundedness, that social entrenchment in the land–after all, for a great many rural residents, it is a moral order that works. As someone who left that ordered environment but still recognizes its relevance, he has hope that that the gap between those who leave and those who are left behind can be bridged. (Don’t forget that there is plenty which those whose life was shaped by urban or suburban realities either don’t see or tend to deny about the land whose bounty they survive off of as well.) True, he suspects the political polarization which has been mapped onto the rural-urban divide has taken such deep roots that is it ridiculous to hope for a cultural breakdown which could change things overnight (he baldly comments that “the chances of Democrats winning local elections in counties that have been Republican for generations are nil,” which, actually, is more than I would say–p. 164). Equally ridiculous, one must conclude after reading Wuthnow’s many writings on America’s rural world, is to have any hope for some radical re-examination of how we have socially and economically thought about the landed resources at the heart of so many of America’s small towns. Wuthnow is a good, conventional, Hillary Clinton-supporting Eastern academic; he doesn’t appear to think much of the Populists (not any more than most of the farmers he interviewed did), accepts the arrival of agribusiness and school consolidation as necessary to the survival into the 21st century of those few rural, small-town environments which still endure, and the idea of him even asking farmers about agrarian, socialist, or distributist alternatives to their work, much less pushing them to hope for such, is plain silly. I think that’s unfortunate, myself (Wuthnow’s analysis of his interviewees’ comments, in my view, would have been much improved by the selective use of some Marxist categories). But that does not mean we can’t learn what he clearly regards as the most important lesson of his research: that the people who long for the small-town life, who are willing to remain behind on the farm or nearby it, really want that life to endure. Throughout the history of rural America, Wuthnow makes clear, you have seen old patterns give way, and local elites accept a change necessary for their town’s survival (even if they never truly own up to the political backtracking and revising of self-conceits which accepting such changes always entails). The constant snort from actual (or, often, just self-styling) rural folk about how the political class in Washington D.C. lacks “common sense” is, I suspect, wearying to all the metropolitans and philosophical liberals who read this (which is, I suspect, just about everyone, whether we came from rural environments or not). But whether the federal government has such common sense or not, the evidence is that rural America does. When faced with their own local imperatives, “adapting to new conditions” (p. 164) is what they have always done. In actual fact, America’s small towns and farms no longer–if they ever did–pose that strong of an alternative to an individualized, capitalized, metropolitan nation. But so long as there is some way for those who love those places to hold onto their bounded horizons–even if it means learning to write that next federal grant, or hoping to catch some of that next wave of immigrants, or continuing to push for the expansion of Medicare–the historical evidence is that they’ll do so, or at least eventually come around to supporting those who will do so. That doesn’t answer any questions about the long-term future of agriculture, health care, immigration, or the Constitution itself, of course, much less how any one political party can effectively build connections across the rural-urban divide so as to address any of the above. The basic social, economic, and political conditions of our mostly urbanized polity–of which rural America nonetheless remains an enduring part–need serious, perhaps radical, critique and change. But in the meantime, Wuthnow reminds us that, however slow the small towns of rural America may appear to act, or however stubbornly they tend to vote, they really are, and should be accepted as, a legitimate part of the national conversation, one that can make a case for itself on its own terms. They may not be the terms that more than 80% of us would choose given the chance–but they are terms which reflect a worthy perspective nonetheless. There is no way one can think that the fact that the demise of rural & small-town communities has massively accelerated in the decades since the imposition of “one person one vote” is a coincidence. These regions were entirely stripped of their political power overnight by judicial fiat. There’s always been a transient nature to small towns–read the history of upstate New York and you’ll see that–but the people who lived there previously had a level of political power that is completely gone now, and was taken away, not voluntarily surrendered. And don’t even get me started on the horrors of urban renewal, where state and federal officials attempted to make up for their seizure of political power from these communities by offering them money that they are now so desperate for, but only if they destroy themselves. Brian, still fighting the good fight! Don’t ever change, man. There is no way one can think that the fact that the demise of rural & small-town communities has massively accelerated in the decades since the imposition of “one person one vote” is a coincidence. I basically agree. The rural and small-town population of America has been consistently shrinking for over a hundred years, without any of the occasionally off-setting booms that you had at different points during the 19th century, but the decisions in the 1960s to deliver votes to actual citizens, rather than to counties or other electoral districts where some of those citizens or their ancestors had previous lived, was surely a contributor to their further decline. These regions were entirely stripped of their political power overnight by judicial fiat. Again, I basically agree. Of course, for many decades the citizens of the growing cities of America (many of whom were former inhabitants of those regions) were systematically deprived of their political power by decisions which had been made, in some cases, more than a century before. The processes which led to those two distinct and unfair conditions were not identical, to be sure, but their end results were, in some ways, equivalent. There’s always been a transient nature to small towns–read the history of upstate New York and you’ll see that–but the people who lived there previously had a level of political power that is completely gone now, and was taken away, not voluntarily surrendered. That’s one of the really eye-opening elements to Wuthnow’s research, for me anyway–the fact that the “stability” of small-town life is so often more constructed than real, and has been throughout all of American history. Which, really, contributes to something we ought to be clear about: it really wasn’t that “the people who lived there” had a level of political power, but rather than the “the places where those people lived” once had a level of political power. Because, of course, that was the point of Baker v. Carr, Reynolds V. Sims, etc. : politically a state might want to give counties or townships their own distinct electoral power, but since said power is expressed through the vote, and it is citizens who vote, constitutionally states can’t disregard where people actually live when apportioning electoral districts. Believe me, I’m with you there. “Urban renewal”… two words… Cabrini-Green. I’ve seen them, rising up like something out of Judge Dredd. So far as the slow churn transience of the small town, yes, although in my rural hometown in Southern Illinois, it was less obvious than the slow bleeding-to-death as high school kids went off to the military, or college (it was the ‘60’s) and never came back. (In a score of years, it shrank from 3000 to 2000 souls.) Like the rest, I left to walk the yellow brick road in search of fortune, and (fortunately) landed in a small town of approximately the same size as the one I left. But after a trip back Home after 30 years, the same lady was still behind the counter of the Ben Franklin as when I left. This looks like another (sigh) book I have to pick up. The delegitimizing of the expressed thoughts of “country Ikes” by the sophisticated urbanites is nothing new. It is far easier to despise someone for an “illiberal” view than to deal with the reality of it. More difficult is to attempt to comprehend it sans a flippant ascribing to bigotry, malevolence, or idiocy. A non-attempt at understanding combined with an implied wish for cultural (at least) genocide recently came forth from a “neoconservative” source (ie globalist). Rothman’s solution to dealing with those who do not wish to be international “fungible assets” is similar to another ‘modest proposal’ from Johnathan Swift regarding the surplus of Irish babies. As your review suggests, diagnosis is one thing, prescription of a cure is quite another. Both diagnosis, resistance to the diagnosis, and the lack of a reliable cure were noted a long time ago, ‘when I wore a younger man’s clothes’. In a way, the current situation (but I am too pessimistic) feels like the situation in The Shootist. Take the laudanum, it’ll help with the pain. From the article you linked to: “As soon as advocates of unfettered freedom and commerce come to that conclusion, that necessary [populism-defeating] work can begin.” Hmm. Well, the author doesn’t spell out what that work actually involves, except that the “winners” of classical liberalism will outnumber the “winners” of populism (so much winning! ), so, QED. I guess. Swift had the benefit of being clear, as did Kevin Williamson: just move out, you losers!. No wonder today’s equivalent of laudanum is so prevalent among these rural conservatives! You’ve probably read it already, Russell, but an excellent “fleshing out” of this idea is in Charles Fish’s book In Good Hands, about his family’s farms in Vermont. Thanks for the Gest review, Rob; I’ll find the time to check it out.